Equipped with Samsung grade A cells. Charges quickly. Longer discharge time. Steady output and low power consumption. More than 500 times charge-discharge cycles. 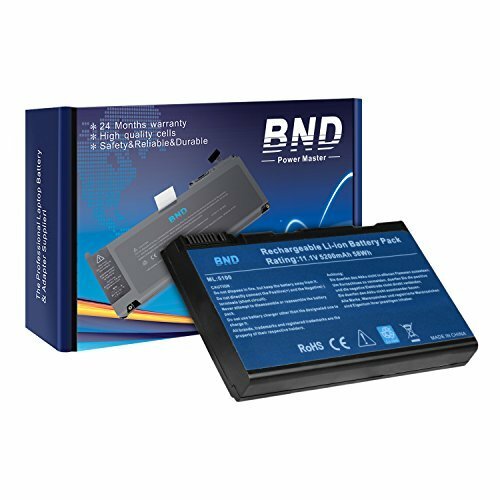 All BND Power products are CE-/FCC-/RoHS-Certified by reputable, qualified and accredited testing laboratories.Strict guidelines for compatibility, and standards compliance for product safety and environment safety and guaranteed to Meets or exceeds OEM standards to ensure compliance with environmental and safety requirement. Buy With Confidence. Operation time: 2-4 hours. Actual operation time varies depending on types of the device and the way it is used. 24 months hassle-free warranty service.We provide best prices possible on the highest quality products and the most popular brands. Please check if this battery is compatible with your computer before purchasing. Part numbers of compatible batteries and Computers are listed as following. V7 Replacement Battery Hp Elitebook 8460P Oem# Cc06 Cc06062 628370-321 628668-001' - 5600 Mah - Lithium Ion (Li-Ion) - 10.8 V Dc "Product Category: Power Equipment/Batteries"